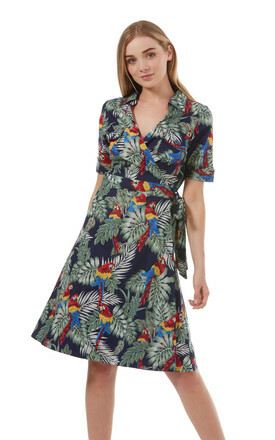 Gorgeous navy tropical and birds of paradise print wrap dress with a tie belt for a nipped in waist and circle skirt . A deep V and small collar give a flattering neckline. 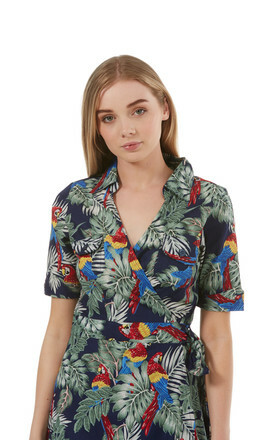 Flap pockets on chest and button detail on sleeves add to a vintage feel. 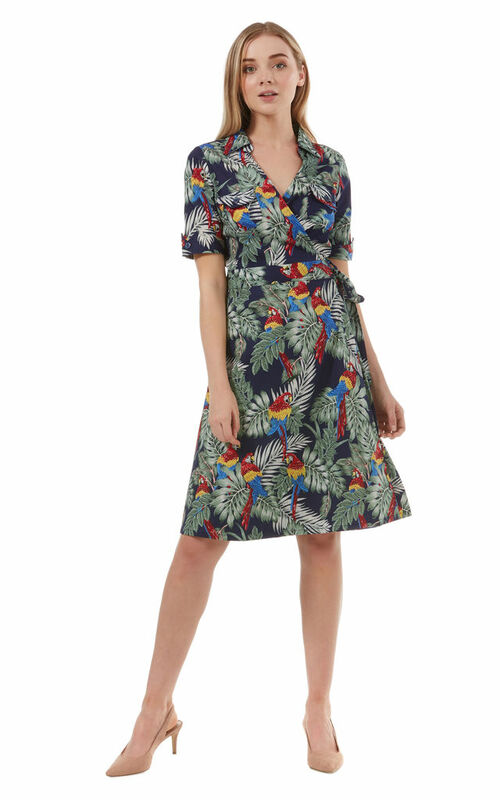 This dress looks stunning dressed up or down for all occasions.